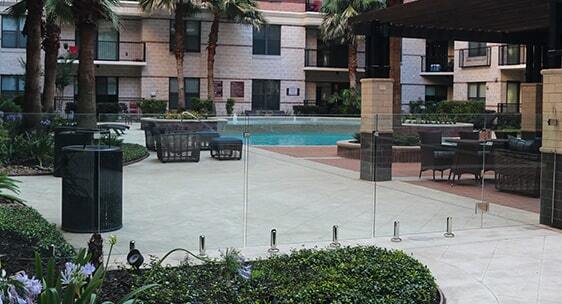 Memorial Hills Apartments are high-end apartment homes located in Rice Military near downtown Houston. These beautiful homes are near local hiking trails and offer an outdoor courtyard with a pool. As you can see in the “before” photo they had a clunky fence obstructing the view. To renovate we installed one of our glass pool fences with frameless pool gate and a wall mount latch. Giving the homes a new seamless elegant look with the previous safety and enclosed space still intact. 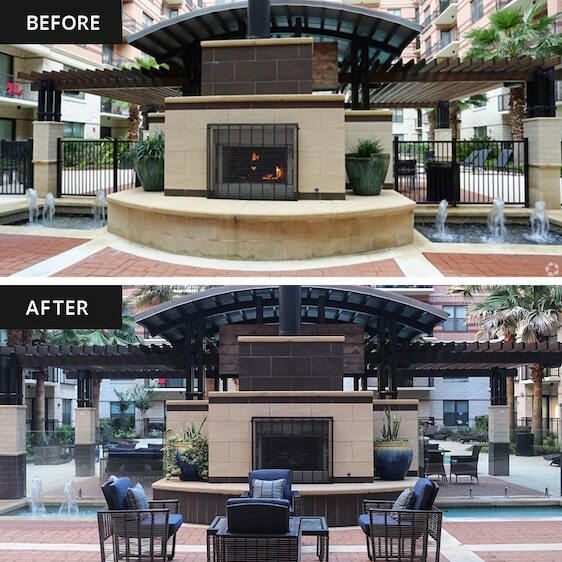 What a difference this gives the homes, transforming an ordinary pool into a luxurious place to swim and relax.